Are you planning a summer wedding? If so, know that you have made a wonderful choice, as summer big days certainly are beautiful! However, while summer is such a gorgeous time of the year, it’s also a hot time! Therefore, it’s important to keep in mind that the heat could cause your wedding guests some discomfort as they try and enjoy your nuptials. One thing about the heat is that it causes thirst. So, provide your guests with the opportunity to quench theirs by keeping them hydrated! Bottled water is certainly ideal to present. However, know that you can go the extra mile by having some chilled cocktails on hand. This way, your guests can enjoy watching your wedding ceremony in a cool way. It certainly would be awful if the sun was in your guest’s eyes as they tried to view your wedding ceremony. You can avoid this by presenting them with parasols! Not only will parasols shield the rays of sun, but they will pose as the perfect wedding favors. Also, consider having your ceremony set-up in a shaded area, so that the sun won’t pose as an issue. When you think of summer, what sweet treat comes to mind? Ice cream! So, know that it would certainly be ideal if you present an ice cream buffet at your summer big day. Comprise yours with an array of flavors and toppings, so that you can cool your guests off in a delicious way. Your guests deserve to be comfortable at your wedding! These are just a few ways in which you can beat the heat at your own summer wedding. 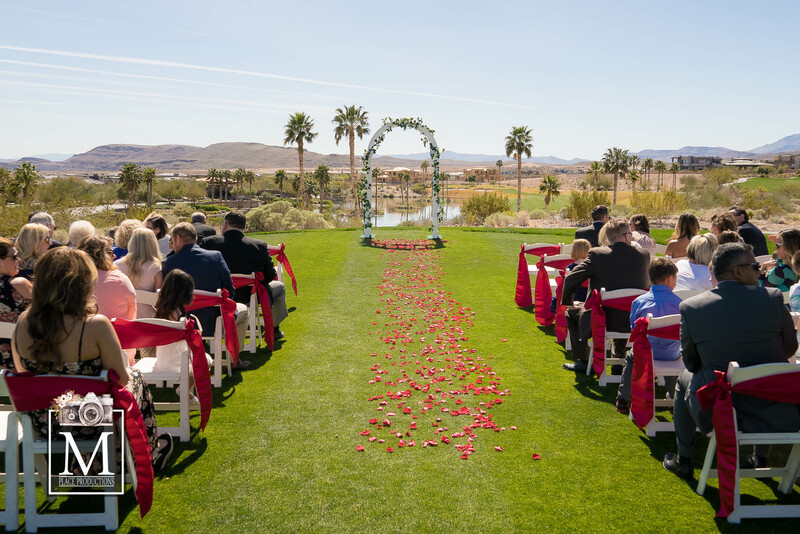 Are you ready to hire a wedding photographer in Las Vegas, Nevada to capture your own nuptials? If so, please contact us here at M Place Productions, as we would be thrilled with the opportunity to be yours!